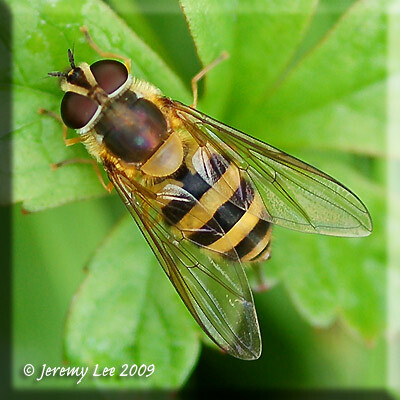 Epistrophe grossulariae is a fairly distinctive, moderately large species with neat parallel yellow bands on tergites 2 and 3 with the colour uniformly reaching the front edge. Found throughout the UK, very often attracted to umbellifers along wood edges or nearby meadows; however, it is somewhat local and rarely found in numbers. On the wing May to October, peaking usually in July.